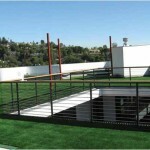 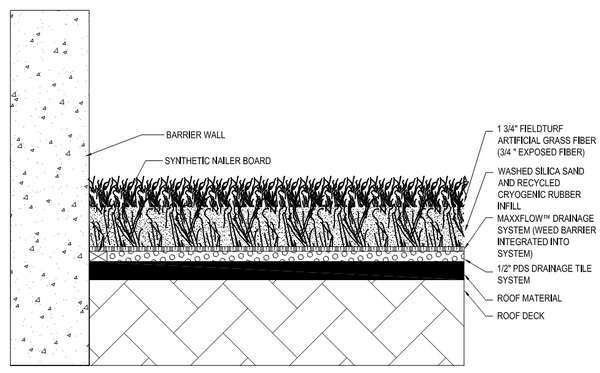 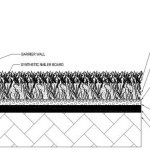 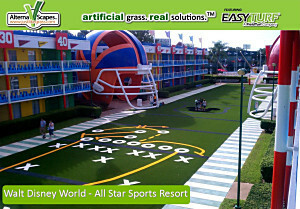 This proprietary backing provides a built in weed barrier with unmatched artificial grass drainage capacity. 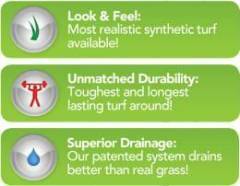 Liquids flow through EasyTurf’s integrated MaxxFlow backing at rates ten times higher than other artificial grass backings and real grass. 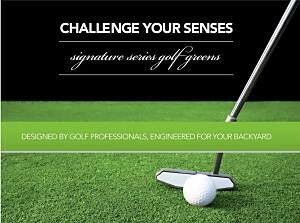 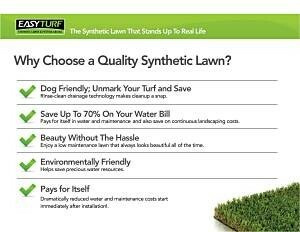 All synthetic grass saves water, but which synthetic grass stands up to real life? 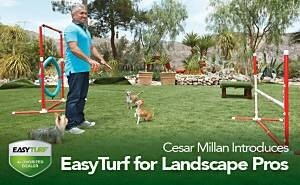 Recently, we put the drainage capabilities of artificial turf backings to the test with common spills that can occur during an everyday backyard barbecue. Take a look at these short videos. 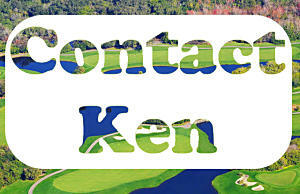 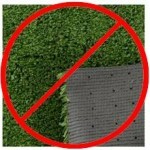 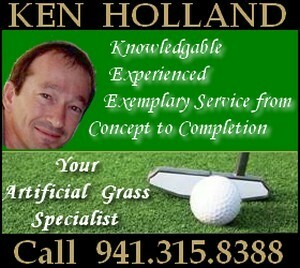 Perforated or Hole punched backing is used on most artificial turf, but it offers poor drainage. 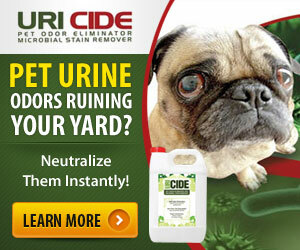 Over time the small holes will clog with dirt, dust and debris, which is especially bad if you have pets. 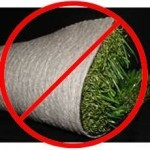 Also, weeds can take root through the holes. 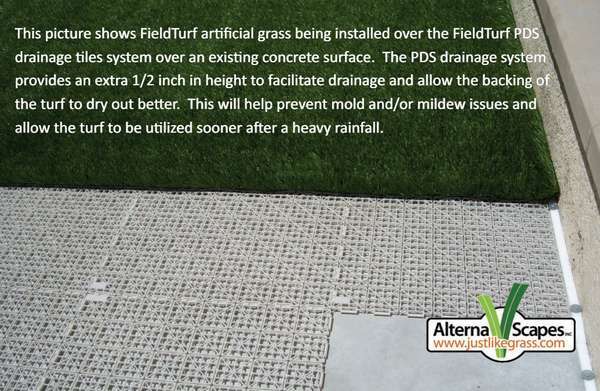 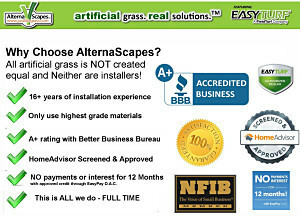 Felt backing offers a little better drainage than hole punched synthetic grass, but it separates from the grass over time, causes mold and mildew and with pets, it will smell. 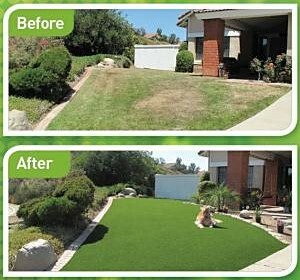 Poor Drainage resulting from inferior products. 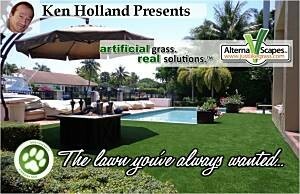 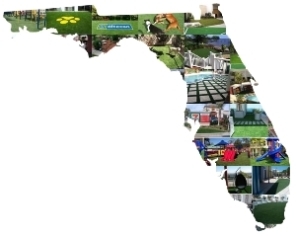 Good grass and bad grass usually ‘look’ good when first installed, but only our proprietary manufacturing method assures you of the drainage you need for long lasting beauty. 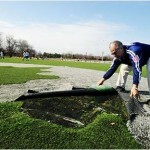 The PDS tile is installed on the liner and FieldTurf is installed over the tile.